I encourage you to check it out. To see a recent post ABOUT Phog Lounge…which is how I found his blog, click this link here. 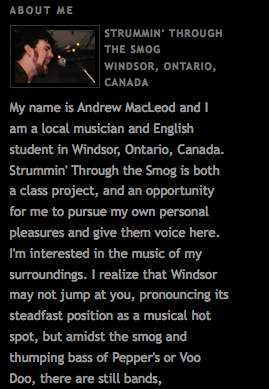 This entry was posted in Uncategorized and tagged andrew macleod, cafe, canada, detroit, entertainment, events, indie, live music, lounge, ontario, phog, venue, windsor. Bookmark the permalink.